For my sibling's 50th birthdays I made them each a quilt. 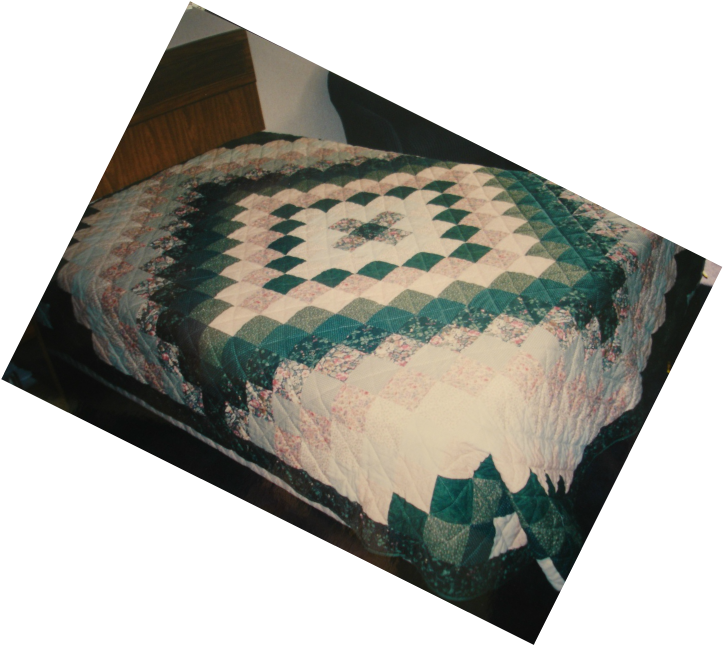 I made two identical quilts like this. For my sister I hand-quilted this, my brother's was machine quilted. Barbara had made quilts and knew what hand-quilting meant. Guys who aren't into sewing? Not so much. This Trip Around the World became a security blanket to one of her grandsons. Apparently they wouldn't take a nap until they were snuggle with the quilt. When more than one of her boys decided they needed the quilt, the younger suggested cutting it in half!